In 2008, China received the world for the Olympic Games. As a documentary filmmaker, I made my way to Beijing to be embedded with the Public Relations firm Hill & Knowlton working on a communications strategy with the Chinese government. tTheir client was coping with the onslaught of critics from around the world, from Falung Gong, Students for a Free Tibet to Dream for Darfur, who were using the Olympic platform to promote their cause. For some reason I had been given unprecedented access. I also accompanied actress Mia Farrow to Hong Kong and other cities on her alternative torch relay, drawing attention to the Genocide in Darfur, Sudan, a Chinese ally. The battle for the hearts and minds of the world’s public that my camera captured turned out to be more dramatic than any competition on the Olympic sport fields. So, while he documentary film never materialized, as I could not find any interest from broadcasters, anywhere. But my intellectual curiosity made me look for another way to utilize my field research. Over the years I had also been increasingly frustrated by television’s inability to 'go deep' on a problematic. I turned to academia to allow me to channel my curiosity into a structured search for answers. York’s Interdisciplinary Study answered my call. It patiently gave me the freedom to explore various academic disciplines that took me to McMaster, Western and Schulich. After three years I had formulated a thesis that I am reasonably proud of...and my years at York's Interdisciplinary Studies gave me the courage to embark on the next step on my academic path - a PhD at York and Ryerson’s Communications & Culture Program. Manfred snuck into Canada from his native Germany in 1983 on a semi-legal work permit and was given the opportunity to work with and learn from this country’s preeminent documentary filmmakers like Sturla Gunnarsson, Nettie Wild and Peter Watkins. In 2001, after a decade of making sense of the creative mess of others in the cutting room, Manfred gathered his courage to step into the light and create his own, with documentaries on psychoanalysis, urban guerrillas, Dark Tourism and what it means to live with the burden of history. Fifteen years and two dozen documentaries later, creating that meaningful emotional experience for the audience remains a mystery to him. After never fully completing a BA in his native language, Manfred is currently in the middle of a PhD at Ryerson’s Communication & Culture program, under the guidance of Documentary Media's own Blake Fitzpatrick. Manfred considers it a gift to live and work in Canada and a life’s purpose to “be defeated by greater and greater things” (R.M. Rilke). Check out Manfred's amazing work below and don't hesitate to contact him to ask him about Interdisciplinary Studies at YorkU. We're so proud of him and proud to share him with you. 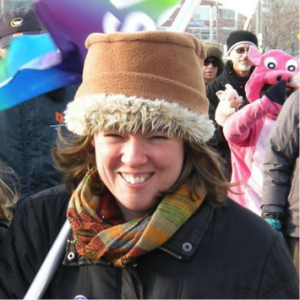 Sara Schroeder's 2008 thesis was entitled : "Theatre in my toolbox: Using forum theatre to explore notions identity belonging and culture with Francophone students Interdisciplinary Studies. She will be completing her PhD in the Faculty of Education at UBC this spring 2016 and takes up her Assistant Professor position at University of Regina in July of this year.. I enrolled in York's Interdisciplinary MA in 2005 because I needed help! I was working on a very ambitious (indeed, daunting!) transmedia documentary-opera about AIDS activism in Cape Town and Toronto, and was in great need of a rigorous but flexible scholarly framework for moving forward. I needed to learn new research methods and creative practices that could deepen and challenge my intimidating cross-disciplinary topic. My canvas was necessarily broader than any one department: exploring histories of opera and pop music, researching queer activism and ACT UP, documenting global actions against Big Pharma, investigating issues of how cultural production can engage agendas of social justice. IS provided me with extraordinary resources across the full spectrum of the university, introducing me to relevant professors and courses in English, Women and Gender Studies, Social and Political Thought, Visual Art. My committee included the legendary Barbara Godard, one of York's great treasures, and a tireless advocate for art, theory and social engagement. It's relevant that IS was fully supportive of my unconventional background, recognizing the equivalency of my work outside the academy as a filmmaker, artist and writer with no formal degrees. I grew immensely during my journey through the IS program, both as an artist and scholar, and remain close with my professors and peers in the program. The resulting thesis, "Pils Slip: The Making (and Unmaking) of a Doc-Op About AIDS Activism," serves as a critical, engaged counter-point to the finished film Fig Trees, and was nominated for a thesis prize. The recipient of the 2000 Toronto Arts Award for film/video and the 2007 Bell Award in Video Art, John Greyson is a filmmaker, video artist, writer, activist and educator whose productions have won accolades at festivals throughout the world. Feature films include: Urinal (1988 – Best Feature Teddy, Berlin Film Festival); Zero Patience (1993 – Best Canadian Film, Sudbury Film Festival); Lilies (1996 – Best Film Genie, Best Film at festivals in Montreal, Johannesburg, Los Angeles, San Francisco); Uncut (1997, Honourable Mention, Berlin Film Festival); The Law of Enclosures (2000, Best Actor Genie); Proteus, co-created with Jack Lewis (2003); and Fig Trees (2008 – Teddy Award for Best Documentary, Berlin Film Festival). Film/video shorts include: The Kipling Trilogy (1984-5), The ADS Epidemic (1987), The Making of Monsters(1991 – Best Canadian Short, Toronto Film Festival; Best Short Film Teddy – Berlin Film Festival), Herr(1998) and Packin’ (2001). As a director for television, his credits include episodes for such series as Queer as Folk, Made In Canada (Best Director Gemini, 2002), Drop the Beat and Welcome to Paradox. Professor Greyson’s publications include Urinal and Other Stories (Power Plant/Art Metropole) and co-editor of Queer Looks, a critical anthology of gay/lesbian media theory (Routledge). He is a co-investigator on York’s Future Cinema Lab, a joint research project with Film Professors Janine Marchessault and Caitlin Fisher. Supported by the Canadian Foundation for Innovation, the Future Cinema Lab is a state-of-the-art media research facility into new digital storytelling techniques and how these can critically transform a diverse array of state-of-the-art screens. John Greyson is active in various anti-censorship, AIDS, peace and queer activist media projects, including The Olive Project, Deep Dish TV, Blah Blah Blah and AIDS Action Now. 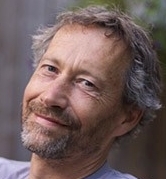 His contributions as a member and through service on the boards of arts organizations include V/Tape Distribution, Inside Out Film/Video Festival, the Euclid Theatre, Trinity Square Video, Charles St. Video, LIFT (Liaison of Independent Filmmakers Toronto) and Beaver Hall Artists Housing Co-op. 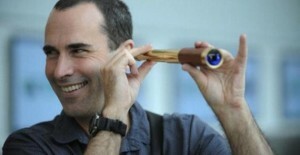 Professor Greyson has taught film and video theory and production in Canada, the United States, Cuba and South Africa. He joined the full-time faculty in York’s Film Department in 2005. We are so proud to call John an IS Alumni - feel free to contact him to ask about Interdisciplinary Studies at York, but of course also the Film Program too! Dr. Gail Vanstone is a beloved professor at York University (Humanities) and a member of the Interdisciplinary Studies Executive. Her ongoing research frames women and the stories they tell as powerful critical tools for understanding women’s experience in a world where their voices are often suppressed. She intend to continue to develop this research, applying it to other subjects she is investigating. When asked why she chose Interdisciplinary Studies Program at York University, Gail stated "When faced with a choice – to pursue an M.A. in French Literature at the University of Toronto or an M.A. in IS at York University - I choice IS because it allowed me to pursue an interdisciplinary study of literature (poetry) and dance. A combined study of aesthetics, philosophy, dance history and practice, engendered a life-long critical cultural curiosity that led to doctoral studies and an academic career I love where I continue to pursue this passion." Professor Gail Vanstone research agenda grows out of themes explored in her book, D is For Daring, the first-ever feminist historical analysis of Studio D, the women’s film unit (1974 to 1996) in the National Film Board. Her ongoing research frames women and the stories they tell as powerful critical tools for understanding women’s experience in a world where their voices are often suppressed. Her aim is to flesh out the work established by her book on this very Canadian, artistic, cultural venture. Her book argues that the excavation of women’s stories creates an authentic witness, documenting and shedding light on the nature of their struggles and triumphs. Such stories are vital to understanding particular periods of time, since a study of women’s contributions to any field inevitably encourages a reconfiguring of that field. Here Gail talks about York's CULTURE & EXPRESSION program which she leads. 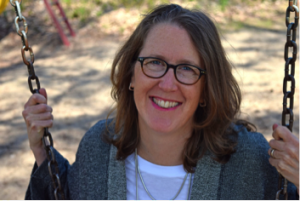 For the past several years she has taught AP/CLTR 1953 6.0 Canadian Writers in Person and has filmed readings to preserve a scholarly and cultural record and worked with a graduate student to create an interactive data based film and digital archive as an on-going resource. She intend to continue to develop this research, applying it to other subjects she is investigating. Victoria is currently pursuing a PhD in Communication and Culture at York University and is a professor at The University of Toronto in IDM and CCIT. 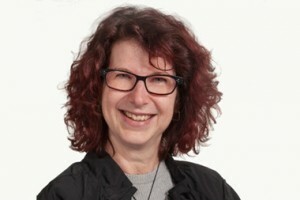 Her Specialization is: Human-Computer Interaction (HCI), Affordances, Actor Networks, Game Design, Self-Representational Practices, Feminist Technoscience, Gender and Technology. 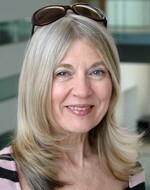 Her research involves the ways in which game interfaces reconfigure player experiences in computer and video games. My doctoral research focused on the tension between affordances and self-representational practices in console games and Massively-Multiplayer Online Games (MMOGs). McArthur, V. (2014) Post-Mortem on Persuasive Game Design in Education, in Cases on Societal Effects of Persuasive Games, Ruggiero, D. ed. IGI Global, USA. McArthur, V., (2014) E is for Everyone: The Role of Stakeholders in Participatory Design and Game Studies, International Journal of Virtual Worlds and Human Computer Interaction, 1(2), 1 - 7. McArthur, V., Peyton, T., Jenson, J., Taylor, N., and de Castell, S., (2012) Knowing, not doing: Modalities of Gameplay Expertise in World of Warcraft Addons, ACM Conference on Human Factors in Computing Systems - CHI 2012, ACM, New York, NY, USA, 101-110. Taylor, N., McArthur, V., and Jenson, J., (2012) Virtual Postcards: Multimodal Stories of Online Play, ACM Conference on Human Factors in Computing Systems - CHI 2012, ACM, New York, NY, USA, 131-140. Bergstrom, K., McArthur, V., Jenson, J., and Peyton, T., (2011) All in a Day’s Work: A study of World of Warcraft NPCs comparing gender to professions, In Proceedings of the 2011 ACM SIGGRAPH Symposium on Video Games (Sandbox ’11). ACM, New York, NY, USA, 31-35. McArthur, V., Teather, R., and Stuerzlinger, W. (2010) Examining 3D Content Creation Interfaces in Virtual Worlds, in the Journal of Gaming & Virtual Worlds, 2(3), ISSN 1757-191X, 239-258. Pace, T., Houssian, A. and McArthur, V. (2009) Are Socially Exclusive Values Embedded in the Avatar Creation Interfaces of MMORPGs? Journal of Information, Communication and Ethics in Society, 7(2/3), 192 – 210. McArthur, V., (2008) Real Ethics in a Virtual World, ACM Conference on Human Factors in Computing Systems - CHI 2008, ACM, New York, NY, USA, 3315-3320. Public activism in the Sri Lankan Tamil diaspora was demonstrated by the mass protests held in Toronto in 2009, in the months leading to the end of civil war Sri Lanka. Following the protests, research focusing on increased transnational participation, public performance of Tamil identities, and personal post-war feelings has emerged. Still, very little attention has been given to self-identified womyn’s narratives and reflections. My MA research explores the experiences of second-generation Sri Lankan Tamil womyn, speaking specifically to gendered diasporic imaginations, subjectivities, and possible transformations produced through participation or non-participation in the 2009 protests. It argues how both protest and silence, in a transnational context, work to disrupt narratives of nationhood suggested by Canada, Sri Lanka, and the former de-facto state of Tamil Eelam. Nayani Thiyagarajah is a film director, writer, and producer. She completed her Bachelor of Journalism (Broadcasting) at Ryerson University and her M.A. in Interdisciplinary Studies at York University, with a focus on film, diaspora, and gender and feminist studies. Nayani's first feature documentary “Shadeism: Digging Deeper” (2015) had its World Premiere at the Zanzibar International Film Festival 2015 and is now being prepped for a tour across the Americas. She is currently co-producing, writing, and directing multiple independent film projects. 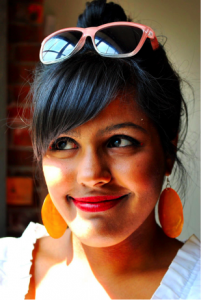 Nayani is a 2015 fellow of the Canadian Broadcasting Corporation’s Workshop for Diverse Creators, an Executive producer at Refuge Productions, and a Co-founder the Society of DirectHERS and ProduceHERS. 2013 IS Grad, Allyson Woodroofe is a self-employed entrepreneur. While in IS she studied Flash mobs: community and social media. After graduating Allyson went on to train and become a Certified Professional Co-Active Coach. She helps emerging and existing change-makers overcome purpose-fatigue, deepen their impact and discover new possibilities. In her one-to-one coaching and workshop facilitation, she incorporates the principles of The Coaches Training Institute’s Co-Active Coaching, “The Work” of Byron Katie and Philip Shepherd’s The Embodied Present Process. Together these offer unique experiences for her clients and helps support them to explore their inner journeys and external impacts. She also co-leads canoe trips that help participants to deepen their felt experience of the world. James is a professor in the Film department at Ryerson University, Toronto, ON. 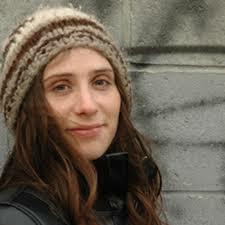 IS alumna, Samantha Bernstein has published her first book, Here We Are Among the Living (Toronto: Tightrope Books, 2012). Sam describes the book as a memoir about generational conflict, political frustration, and the role of art in middle–class life. Her work has appeared in literary journals, including Exile, Books in Canada, and The Fiddlehead. 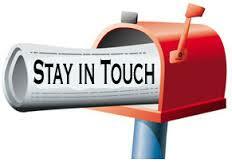 Sam completed her MA in Interdisciplinary Studies in 2008. Her thesis explored youth movements, epistolary narratives, and autobiographical literature. She is currently in the fourth year of her PhD in York’s Graduate Program in English. IS Alum Peter Trainor went on to do an MSW at the University of Toronto. He is currently employed as a Youth and Family Counsellor at Central Toronto Youth Services. He describes himself as a social worker who's interested in relationships between trauma, mental health/addiction, and parenting. Starting from October 2011, Alpha Abebe is pursuing a DPhil in Development Studies at the Oxford Department of International Development (ODID). The working title for her research is ‘Intersections of Diasporas and Development: Young Ethiopian Diasporans from the West and Their Relationships to Development in Ethiopia’. She is supervised by Oliver Bakewell. Alpha’s research will explore the intersection of diasporas and development, through the experiences of ‘the young Ethiopian diaspora’ in the West. Specifically, it will involve understanding the ways in which people of Ethiopian descent born and/or raised in Canada and the US build a diasporic identity and engage with Ethiopian development initiatives through a mutually constitutive process. Alpha holds an MA from York University in Interdisciplinary Studies, a Graduate Diploma in Refugee and Migration Studies, and an Honours BA from the University of Toronto, majoring in Political Science and Criminology. She has spent several years as an international and community development practitioner, and her advocacy, research and professional efforts have been largely devoted to youth, migration issues, and East Africa. Prior to starting her doctoral degree, Alpha worked as an Associate Program Manger with The MasterCard Foundation, a $3 billion global private foundation. She supported the strategic development and launch of the Foundation's Youth Learning Program, which supports initiatives focused on skills and workforce development for youth in Sub-Saharan Africa. She also led the development of a Youth Engagement Strategy at the Foundation, and managed a portfolio of projects worth over $60 million. 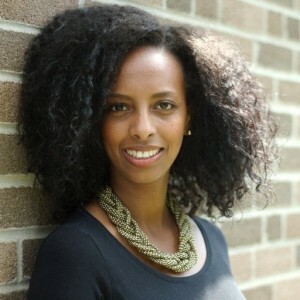 Alpha co-founded Young Diplomats, a youth-led community organization in Toronto that serves Ethiopian youth. She is also an avid photographer. 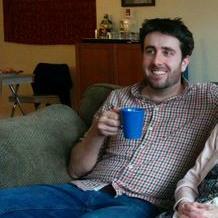 Ian is a Senior Policy Analyst – Canada US Relations at Citizenship and Immigration Canada, in Ottawa. Currently serves as an Associate Dean at Sheridan College, responsible for 5 programs including Design, Illustration, Photography, Interaction Design and Web Design. She has previously served as art director of Maclean’s and Canadian Business magazines and president of the National Magazine Awards Foundation. She is also a past secretary of the board of directors of The Advertising and Design Club of Canada. She currently serves on the board of the Registered Graphic Designers and the Curriculum Committee of Magazines Canada. After the IS Program, Donna completed York University's Executive Program in Management. IS Alumni Dave Walker's tragic death was documented by the CBC (see http://www.cbc.ca/news/world/canadian-filmmaker-dave-walker-found-dead-in-cambodia-1.2628105) The program wanted to remember Dave and we include words in commemoration of Dave here - provided by Jamie S. Scott who was the Director when Dave was a student. Dave Walker: what to say? Dave joined Interdisciplinary Studies when I was Graduate Programme Director a few years back. At first, he seemed like a lot of other mature students who are drawn to the academy as they ease into the closing quarter of their lives. Over his time in the programme, though, I got to know him as much more than that. Dave: A loner who was good company. A tee-totaller who was a sugar-addict. A Canadian home-boy who lived in an Airstream trailer and drove stars to and from movie sets. A Toronto cop who thought about joining the Hells Angels. A CSIS agent who rescued Cambodian refugees. A journalist who served in the British Army in Northern Ireland, where he got shot in the leg, which explained his lurching gait. A virtual cenobite who put together a book of love letters between Bangkok bar girls and Vietnam war veterans and called it Hello, My Big Big Honey. Clearly, Dave was not a simple figure. And that’s just what we know. Or at least, what we think we know. We do know for sure that Dave died mysteriously, likely violently, and before his time. 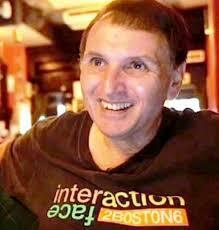 He disappeared from Siem Reap, Cambodia, on 14 February, 2014. Children found his decomposing body near the Gate of Death at the vast Buddhist temple complex of Ankhor Watt. Had he had a voice in the matter, Dave would probably have approved the location. He was capable of darkly ironic humour and he loved Cambodia. But he did not have a say. Many of us think he was murdered, yet as far as anyone can tell, the Canadian government has virtually ignored Dave’s disappearance and death. I say “as far as anyone can tell” because maybe Canada’s intelligence gnomes are secretly on the case, given Dave’s history with CSIS. It’s unlikely, but who knows? At the time of his death, Dave was working on a film called The Poorest Man. It was to be a docudrama about a man who risked his life bargaining with Cambodia’s genocidal Khmer Rouge to save his village. Dave described the project as a cross between The Killing Fields and Schindler’s List. But networks of former Khmer Rouge killers operate on both sides of the law in today’s Cambodia. Did Dave’s background research for the picture spook some of them into silencing him? Probably we will never know. Dave Walker: what to say, finally? Yes, I was Graduate Programme Director when Dave joined Interdisciplinary Studies. From that standpoint, I have to admit that I was pleased and relieved that he completed his degree more or less on time. David Walker MA. On a much more personal note, I came to know Dave as a strong but somehow vulnerable man. He owned a profound sense of justice – and injustice. Yet he embodied the contradictory charisma of a worldly-wise naif. Above all, Dave remains a much-missed friend. I see him still, as he makes steady way towards my pub table, a shoulder up, a shoulder down, ill-fitting clothes and an enigmatic smile, a can of pop in one hand and a MacBook in the other. Travel well, Dave, and I’ll see ya later. And by the way, it’s your round.